Marks and Spencer is set to close its shop in Kirkcaldy’s High Street. 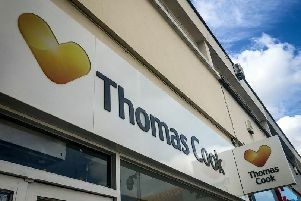 The struggling retail giant will quit the town centre early next year. The shock news was delivered to staff in a 7am briefing. It is a devastating blow to Kirkcaldy’s town centre which is still recovering from the damage inflicted by Tesco following its deicision to close its store in Hunter Street three years ago. Shona Lawrie, M&S head of region for Scotland, said: “The decision to close M&S Kirkcaldy was incredibly difficult – we know we have many loyal customers who will be disappointed by the news.